With a mega all-star cast set to take on Saturday, March 24 during this year’s Miami Music Week, No Sugar Added returns once again and remains a staple of the week-long sunshine-y extravaganza. Hosted at South Beach’s ritzy 1 Hotel, No Sugar Added is your weekend destination for good vibes, good fun, and even better music. This year we’ve got Autograf, Chocolate Puma, Dada Life, Don Diablo, EDX, Lost Frequencies, Loud Luxury, Michael Calfan, Sam Feldt, The Him, Booyah Riot, and Alyx Ander prepped and ready to take all you crazy Spring Breakers on yet another sun-soaked day of music, fun, and of course, day drinking. With Hexagon founder Don Diablo leading the pack, guests can expect nothing short of a rhythmic dream. Expect to jam along to tracks off his recent debut studio album FUTURE, which helped to further cement his place as an industry heavyweight – that and his #11 Spot on this year’s DJ Mag Top 100 List. In accompaniment is showstopping sensation Lost Frequencies, who continually evolves in the international industry and arrives with one heartfelt track after the next. It’s all fun & games with Dada Life on deck as well, so don’t forget to pack your pillows and bananas because it’s about to get W-I-L-D. The tropical Florida vibes keep on rollin’ with Sam Feldt, so grab your bathing suit and prepare to chillax. DiskoLab has come together with Miami Music Week and the 1 Hotel to bring you this total banger of a celebration. 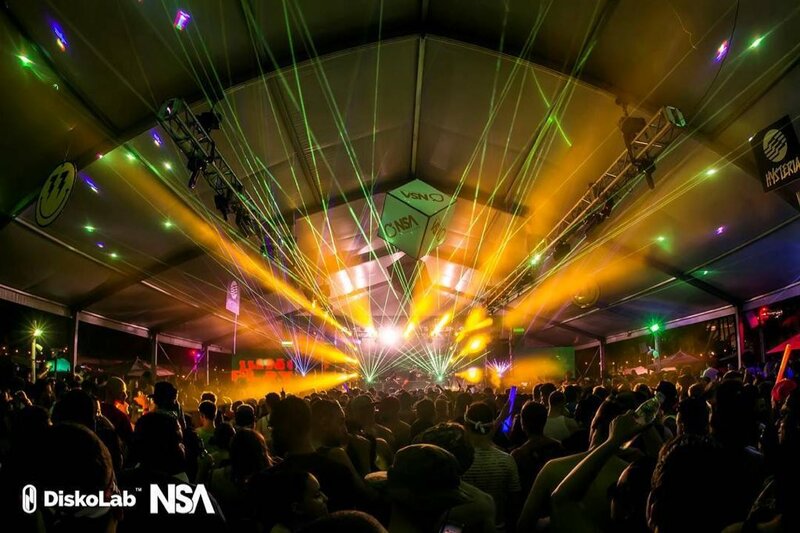 Each year NSA fans look forward to the festival, as it has become very beloved amongst dance music lovers and Spring Breakers alike. With all of the goings-on in Miami next week, don’t miss your chance to vibe on as the hype continues to rise alongside Ultra’s spectacular 20th Anniversary blowout. Last year Miami Music Week brought over 1,200 artists to perform in over 85 venues city-wide, spanned across 300+ events. This year we can only expect bigger & better as the week-long party continues to develop underneath worldwide recognition. Originally having started at Miami’s Nikki Beach, NSA has established a name for itself as the place to be for all your Spring Break party needs. A dedicated fan base allows for the cheerful beach party to make its comeback year after year, with 2018 boasting its most impressive lineup yet. Promised to be the biggest and baddest delivery to date, the fest has taken a turn to the luxurious setting of the 1 Hotel, where a gigantic singular stage will be your playground. Don’t miss out on all the fun! Blow off some much-needed steam & come hang out with us at No Sugar Added 2018. Tickets and table reservations are available here.